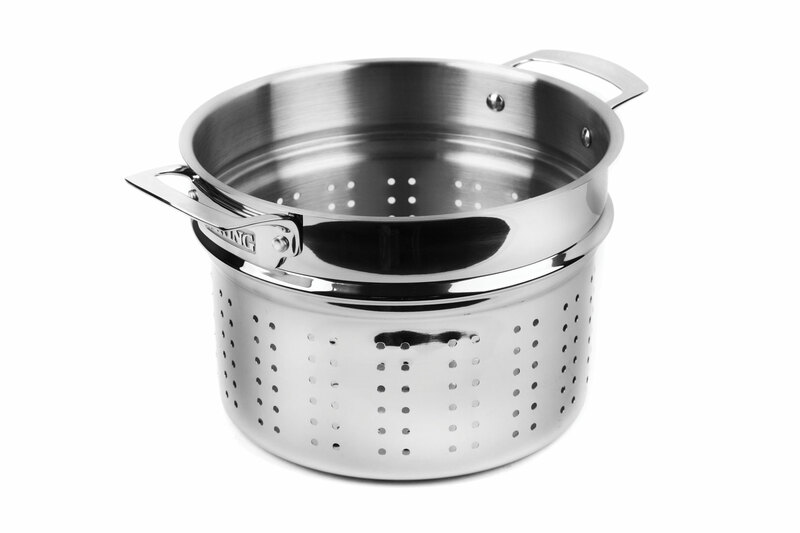 The Viking Tri-Ply Stainless Steel Multi Pot includes an 8-quart stock pot with lid, pasta strainer and steamer basket. 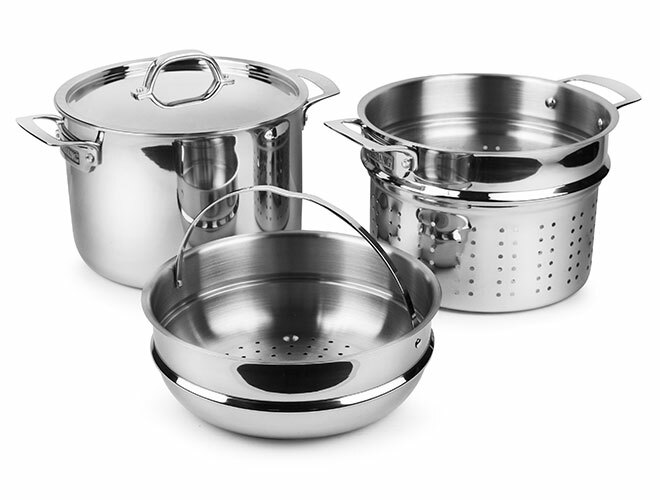 The ideal set for quickly cooking and draining pasta, vegetable, shellfish and more. 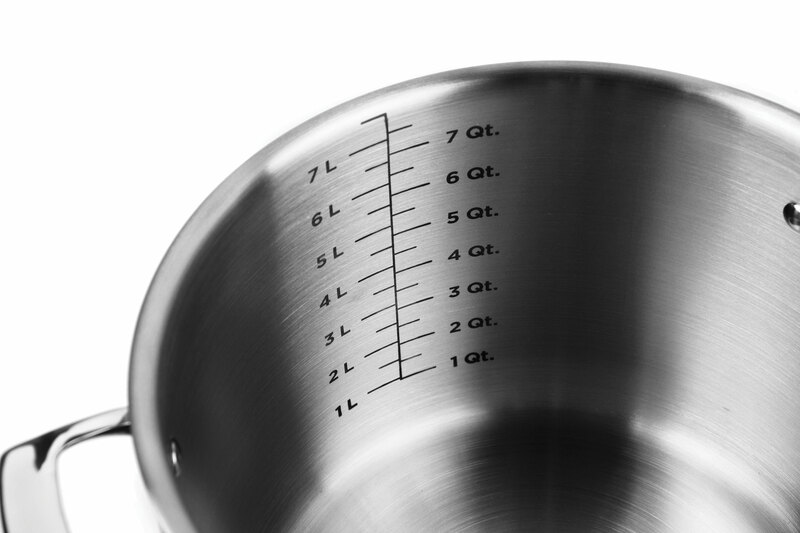 The stock pot can be used on it's own for making soup, stock or chili. Viking tri-ply constriction sandwiches a highly efficient, heat-responsive aluminum alloy core between a durable stainless steel interior and exterior for superior cooking efficiency. Viking stainless is non-reactive and features a non-porous surface that resists sticking and is easy to clean. Lifetime warranty, dishwasher safe. 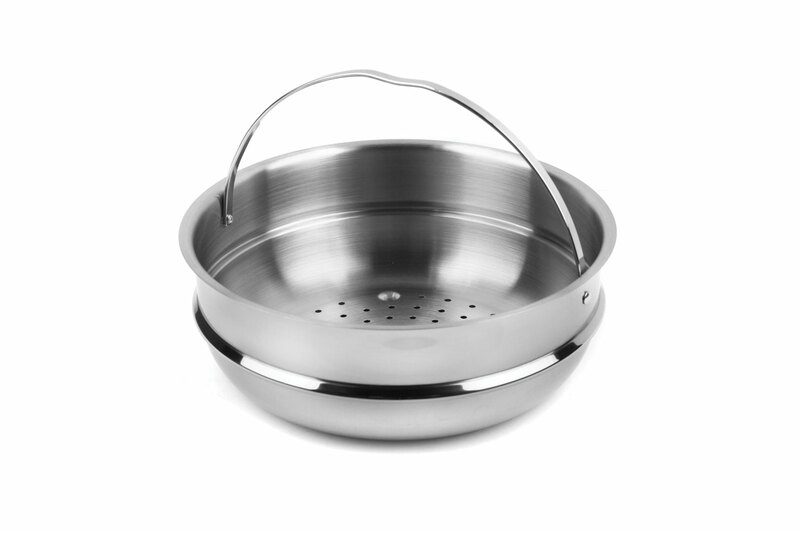 Constructed with a heat distributing aluminum core bonded with stainless steel to ensure responsive even heating throughout the bottom and up the sides of the stockpot. 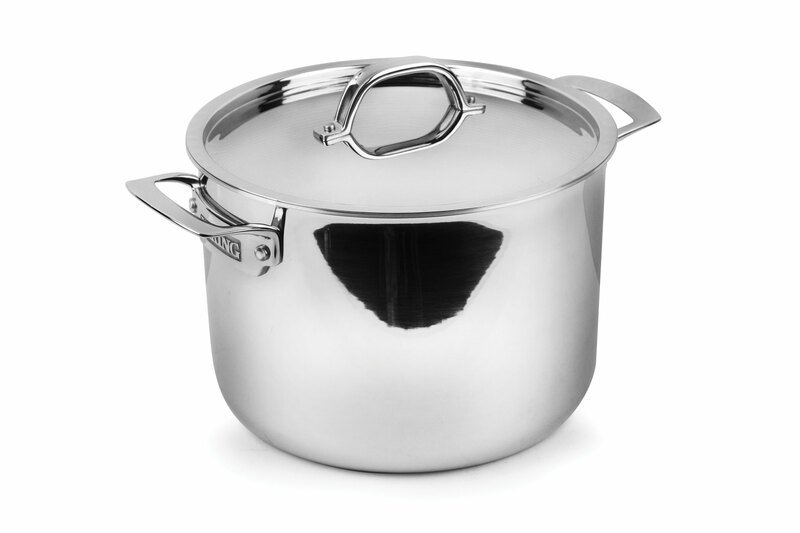 https://www.cutleryandmore.com/viking/tri-ply-stainless-steel-multi-pot-p135055 35055 Viking 8-quart Tri-Ply Stainless Steel Multi Pot https://cdn.cutleryandmore.com/products/large/35055.jpg 149.9500 USD OutOfStock /Cookware/Soup & Stock Pots The Viking Tri-Ply Stainless Steel Multi Pot includes an 8-quart stock pot with lid, pasta strainer and steamer basket. 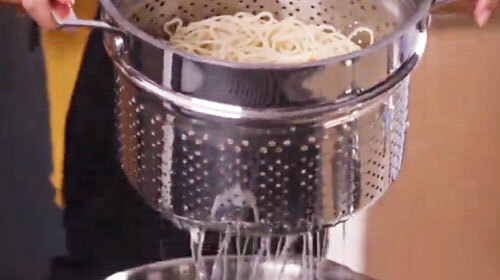 The ideal set for quickly cooking and draining pasta, vegetable, shellfish and more. 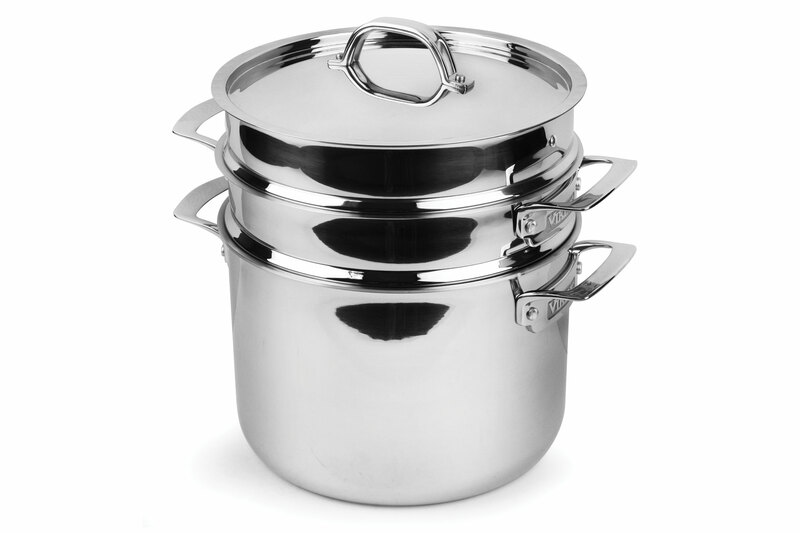 The stock pot can be used on it's own for making soup, stock or chili. Viking tri-ply constriction sandwiches a highly efficient, heat-responsive aluminum alloy core between a durable stainless steel interior and exterior for superior cooking efficiency. 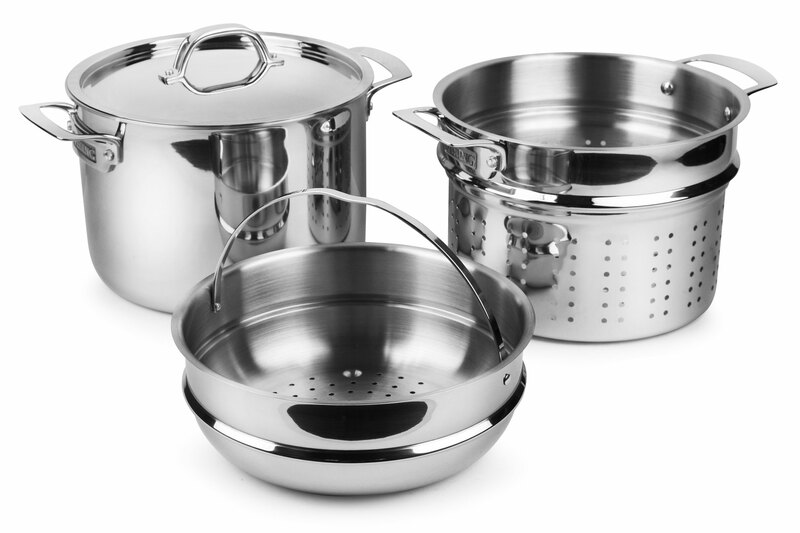 Viking stainless is non-reactive and features a non-porous surface that resists sticking and is easy to clean. Lifetime warranty, dishwasher safe.